As you grow up and reflect on the years of your life, you can probably count on 1 hand the people who have made a major impact on you. You are told to surround yourself by people who make you better; a search to seek out the people who pull out the very best in you. But what if one of those people actually found YOU, knowing she could be the one to get the very best out of you? And then, what if you were surrounded by that person for 4 years, 40 weeks out of the year, 6 days out of the week, 4-5 hours of every day? Do you think this person would have a major influence on you in your life? I know firsthand, the answer is yes. 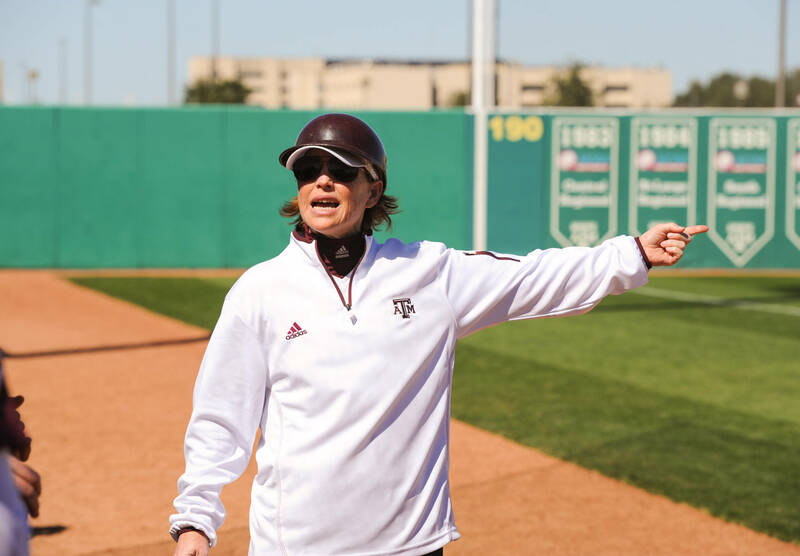 I know from having the opportunity to be around Jo Evans, Head Softball Coach at Texas A&M, who just recently won the 1000th game of her career. When deciding where to play ball in college, some players look at what majors a school has to offer, some decide based on athletic and academic facilities, others may look at a previous win-loss records or national championships. I looked at Coach Evans. I saw a coach who could make me a better player, but more importantly, I saw a coach who could make me a better person. I still remember being 15 or 16 years old, and seeing Coach Evans in the stands recruiting me and watching me play. I get asked often if I always knew I wanted to go to Texas A&M. 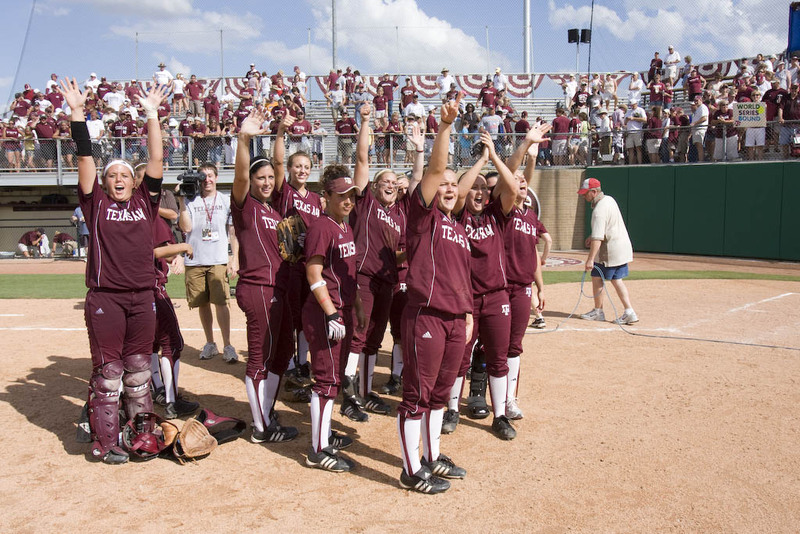 To be honest, I wasn’t one of those players who ALWAYS knew she wanted to go to Texas A&M. I have no family members who went there and had no real ties to the university before I made my decision. When I was that age, I had no idea where I wanted to go to school! But then…Texas A&M showed interest in me, and it was almost as if I knew instantly that I wanted to play for her from the moment I met her. Jo Evans is what pulled me in. 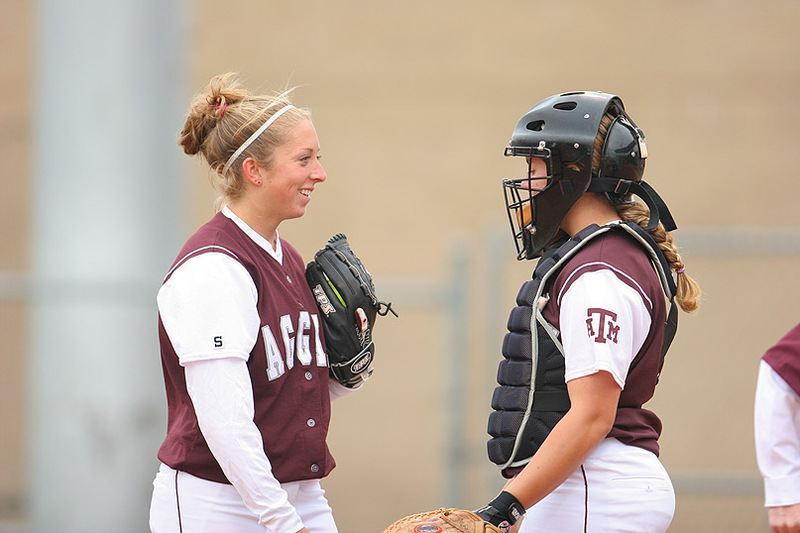 The decision to play at Texas A&M for Jo Evans is definitely one of the best decisions I’ve made in my life. 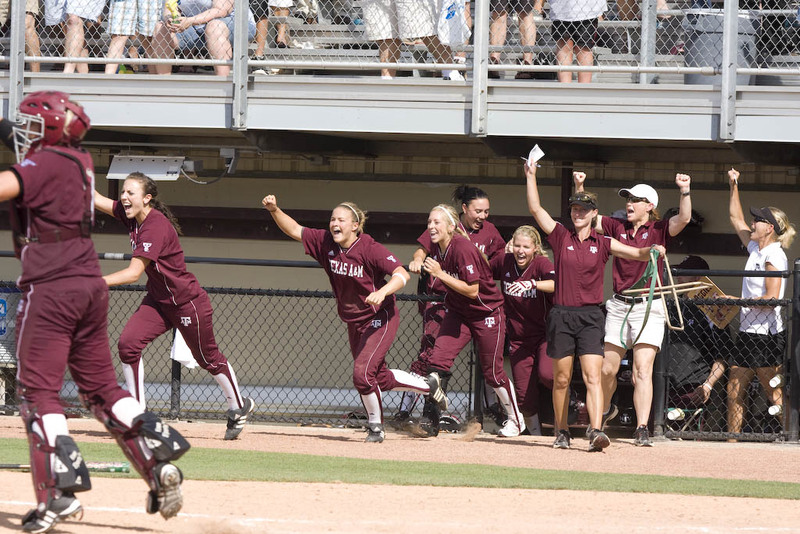 When I was there, taking the field every day in College Station, I didn’t realize the magnitude of all that she was teaching me on a daily basis. In those 4 years, I was constantly growing as a player, growing as a leader, and helping to grow a program, all by the guidance of a spunky red head, named Jo. Coach Evans makes a “big deal” about leaving a legacy, as she asks every senior class, “What’s going to be your legacy?” She reminded our senior class, as she does with every senior class, that we are leaving a lasting mark on a program, and we got the chance to control what it was going to be. 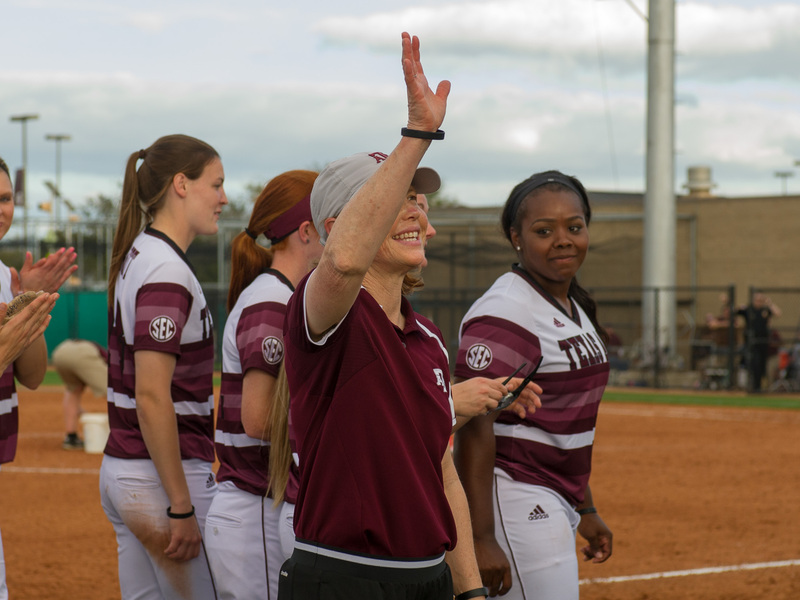 From her, we knew we would be leaving a legacy at Texas A&M, but what she did not know at the time, was that she, too, was leaving a lasting legacy on us. A first impression may stay with you for weeks, a lifetime impression stays with you for eternity; it’s one that will stays with me well after I left my cleats on the field in Oklahoma City signaling my playing career at Texas A&M had come to an end. 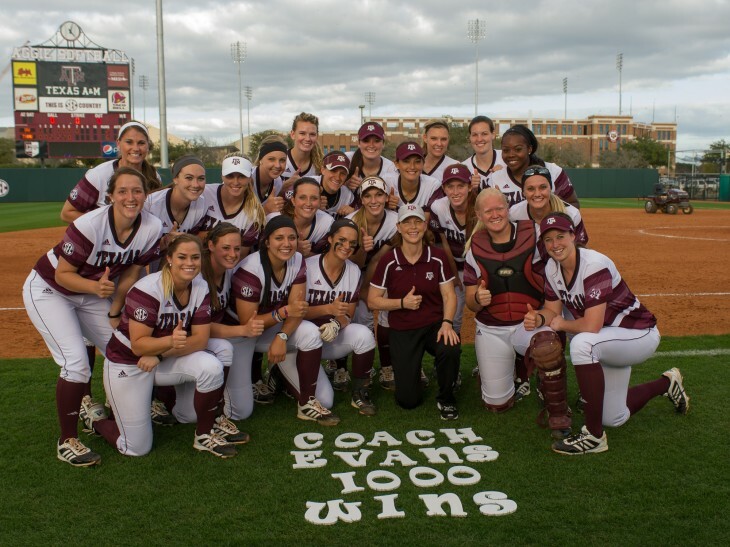 Coach Evans makes lifetime impressions on the players who play for her at Texas A&M University. Little did I know when I was 16 years old, making the decision to play for Coach Jo Evans, that I would be playing for a coach would achieve the 1000 wins mark. That coach, the one who chose ME to come and play for her at her school, had a monumental weekend, as she won her 1000th career Division 1 game this past Saturday. Quite a milestone, as she becomes the only active coach in the SEC to have 1000 career Division 1 wins and becomes the 8th coach in the country to achieve this. 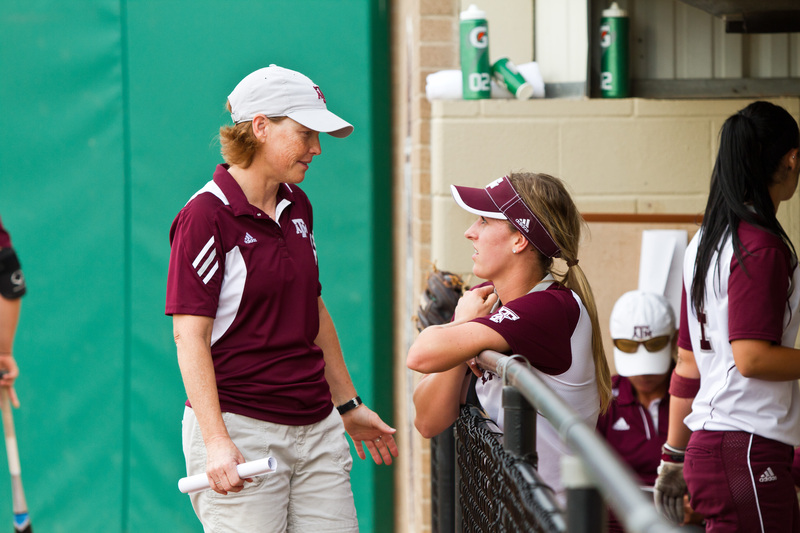 But in my mind, Jo Evans is more than a softball coach piling up scoreboard victories under her belt. What has helped lead to those thousand victories is the fact she is a coach who teaches more than the game of softball through the game of softball. She genuinely cares about her players, and has the ability to get them each in the right mindset to go out and compete to their highest talent level, thus the ability to compete for championships. By caring, by teaching, by directing, she is making them better women when they leave her program to go and take on the real world, once their cleats are left on home plate. It’s a college coach’s duty to teach more than the game of softball, as those 4-5 years of a player’s life are preparing them for the rest of their lives in more ways than one. I know in my heart that many other players feel like I do about the relationship they have or had with their college coach. I speak from my heart and from my own experience as to what I was taught in those 4 years that has honestly, completely changed my life and made me into the woman I am today. I could write an entire book about what all Coach Evans has taught me. (I laugh because this article is already going to be long enough.) Looking back, I honestly cannot tell you which of these things are the most important and rank them in any particular order, but I do know that they all continue to change my life. Jo Evans left her legacy on us, just like she told our senior class to do on the A&M program. 1) Plain and simple — She taught me the game. I really learned the ins and outs of the game from Jo. At practice she’s teaching, in the game she is teaching, after the game she is teaching. Doesn’t matter big or small, she will see it, and she will use it as a teaching moment at many point at practice or in a game. At practice, I learned the details of defense from her. 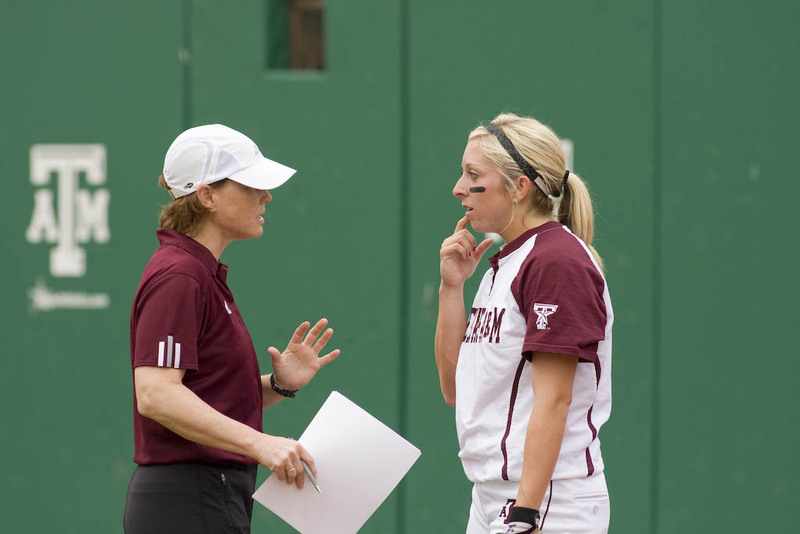 In between innings, during a game, I remember her going over pitch calling with me for different situations and letting me know what I could have done better or chose differently. I learned a little bit deeper about what the whole “make adjustments” thing meant as a hitter and as a pitcher, alike. In post game talks, she would let us know down to certain at bats and certain pitches/counts within that at bat what went wrong, what should have gone differently, and why it changed the energy and outcome of the game or an inning. Because she taught us, we could be more aware of different situations in future games to be able to make adjustments on our own when we experienced that same situation again. She was the best at reminding us of plays of execution throughout the game, that may never go down in the scorebook or get written about in the newspaper, but they were parts of the game that you can’t be a championship team without. During and after the game, she reminded us which plays were a “big deal” for our team. A huge part of this game is knowing your role on a team. She made me look at the game in a whole new way when it came down to actually playing the game itself, but also, she taught me every player has a “job.” She pointed out different roles that were an integral part of a team; roles that went deeper than the star pitcher and the homerun hitter. Every single player on a roster has value and has a job to do. When you are being reminded that everyone has a role and a job to do at any point in the game, it brings a team together. EVERY player has value. The more you respect each other’s roles, the better you play together, thus leading to more wins. You keep it simple and worry about doing YOUR job, not someone else’s. This idea of roles and doing your own job made the game much more simplified. It was important to remember what YOUR job was, and not try to do everybody else’s. You have a job. You execute it. You succeed. “What can YOU do to help OUR team win?” — love that quote. Looking back, her teaching me the knowledge of the ins and outs of the game has helped me immensely in my career as a softball analyst on ESPN. We did not learn to play as robots on the field – we learned to take responsibility and ownership for every situation throughout the game. Because I wasn’t a robot, I learned quicker and the concepts I learned were able to stay with me longer. Now, I can talk about an array of situations that happen on the field defensively and offensively, taking that knowledge I learned playing under her to relaying knowledge to the viewer on TV listening and watching the game. I know the game from Jo. Coach Evans takes more of an “old school” approach. She loves textbook softball when it comes down to execution and more importantly, upholding a certain standard to which the game should be played and respected on the field. Our game has history and our game has value, and she is a coach that doesn’t just ask for her players to respect that history, she demands it. Respecting the game is one of the few things Coach Evans demanded of us, as she is really not a demanding coach. For the few things that she “demanded,” we knew that they were of extra importance, because her demanding anything from us, were things we knew WE could control. Along with respecting the game, comes respecting the players who played in front of you. Not just at YOUR school, but the players who paved the way to get our sport to where it is today. This is a respect of what they sacrificed, and what they have accomplished ahead of you. Our sport is growing, and our sport is beautiful. This didn’t happen over night. It was made this way from those who laid the foundation before us to make this sport as we know it today. And for that, every time you take the field, you are playing for something that’s bigger than yourself. What else does respecting the game mean? It means you play hard. It means you leave it all out on the field. It means that when you step out onto the field, nothing else matters – not school, not relationships, not any personal problems. It means keeping a good attitude. It means by knowing that if you stick with the process, the game will reward you. If you are player or former player, you know exactly what I mean. I had never really thought about the game in this way until I had played for Coach Evans. Yes, I loved to play hard, but I did it a little selfishly, not understanding the real importance of respecting the game. However, she taught me to play hard, for something bigger than myself. Because she loves and respects the game of softball, it’s something that she has pulled out from inside of me to the forefront. Not that it wasn’t always there, because it was, but she showed it to me in a way I had never thought about the game before. If you know me, you know I love EVERYTHING about this game. Coach Evans brought that out of me. With respecting the game comes respecting your opponent. 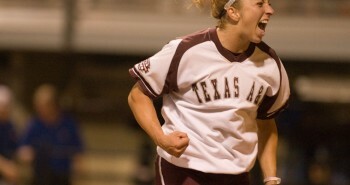 Jo kept us humble with wearing that Texas A&M across our chest. Yes, we played at a school who week in and week out, usually found ourselves ranked in the Top 25; but she taught us the game doesn’t know who is supposed to win when you step on the field. She taught us that no matter who we were going up against, they deserved our upmost respect, because anybody can beat anybody on any given day. The more I’m around this game, the more I see this, and it’s actually one of the things that still gives me the most excitement about spots in general. As sports fans, we live for the underdog to get the big win. It happens, and it gives everyone out there a little bit of extra hope, as we all feel like an underdog at some point in our lives. She taught us that even though we respected our opponent, no matter who they may be, a win and a loss 90% of the time comes down to a team playing THEIR game and not worrying about what the other team was doing. She taught us to give so much more attention to ourselves than to the other team, and control the things that WE could control. This is something that as we were playing, made the game seem a little bit more simple. Wow, what a thought – I don’t have to worry too much about the other team, because if we play OUR game, the way WE are supposed to play, then we will put ourselves in a position to win. Coach taught us a part of respecting your opponent is winning and losing graciously. Any kind of attitude towards another team or disrespect of the game was not allowed. To be honest, we never even really came across anything like this during a game, because we were so engrained to respect our opponent, that it never was really an issue. Respecting your opponent means playing with class and playing within yourself. Jo reminded us of this. At the very beginning of the season, Coach Evans will remind a team, “This is YOUR team.” The players are supposed to run the team, with the help of the coaches – it’s not the other way around. This gave us accountability for all of our actions. We monitored and patrolled each other for everything – whether it was about tucking in our shirts at practice, making in game at-bat adjustments or making the right social decision outside of the field. It’s kind of like when your parents buy you a car versus when you buy a car yourself. When you buy the car yourself, then the responsibility and accountability seems to go WAY up. It’s YOUR investment and it’s YOUR car. Every decision you make from that point on has more weight on it. With ownership of your own team, came ownership of our own pitch calling. As a pitcher, I loved being able to call my own game. It made me LEARN. It made me a better player, and it made me a better coach after college was done. I loved challenging myself and having to think constantly throughout the game. In a way, it gave me independence and confidence in my own decision making. Think about it – I threw 100+ pitches in a completely game, which meant I was making 100+ decisions every time I was in the circle. I don’t know if this was supposed to be a direct bi-product of pitchers/catchers calling their own game, and I’ve never really thought about it this way before, but I think it’s pretty awesome, and it gave me accountability and confidence with my own decision making. When the players take ownership of THEIR team, it’s astounding how much more accountability and investment it creates. You no longer want to just worry about yourself and YOUR actions, you worry about the TEAM more than you worry about yourself. The team comes first. Because of this, the team starts thinking big picture, monitors each other, and really, the team should pretty much be able to run itself. I can still hear her saying in our team meetings, “This is YOUR team,” and it was true. When we ran OUR team, it gave us more ownership of every win and every loss. Jo Evans loves to compete. She HATES to lose. “Compete” was a word that we heard daily at practices and in games. The idea of not competing is just like not respecting the game. It’s a long season of over 50 games and Coach expected us to compete for all of them. She wanted us to go out and compete to represent the name on the front of our jerseys. We had a duty to wear that jersey proudly with Texas A&M represented on the front, and we knew we were representing the 12th man and our incredible university. By not competing, we weren’t just letting our team down, we were letting the 12th man down. Part of competing is that never give up mentality. To compete and to fight go hand in hand. Not every game is going to be an easy win. There are going to be times you fall behind and need to come back. When you have a coach with the experience and drive that Coach Evans has, she teaches to her team that there is always a chance to win if there are outs left in a game. If she thought that and believed it, then why wouldn’t we, as players, believe it, too? I remember being a freshman and losing games for the first time early in the season. Some of the losses, we were just beat. Other losses we beat ourselves. But, a loss was a loss. A loss was to be taken seriously with no laughing and cutting up after the game. Our freshman class learned this very fast from our seniors (remember, we patrolled each other). A loss in college was taken much differently than in high school or tournament ball. I learned to hate the way it felt after a loss. As a team, we hated disappointing ourselves, but more than that, we hated disappointing Coach Evans. We hated the way losing made us feel, and we didn’t want to have to feel that feeling very often. We learned from our losses, and were able to move on, but losing was never fun. Because she was so competitive, our team was competitive. Because she had fight, our team had fight. I sincerely believe that Coach Evans taught me the true meaning of what it is to be loyal. She constantly talked to us about loyalty throughout my 4 years. Loyalty means allegiance and trust. When you build a loyal team, you build a team that is going to trust each other and play better together on the field. She encouraged us to be loyal to the program and to our teammates. If we were supposed to take ownership of OUR team, then a big part of that is feeling loyalty from and towards our teammates. A team has to feel united at the end of the season to win games and win championships. 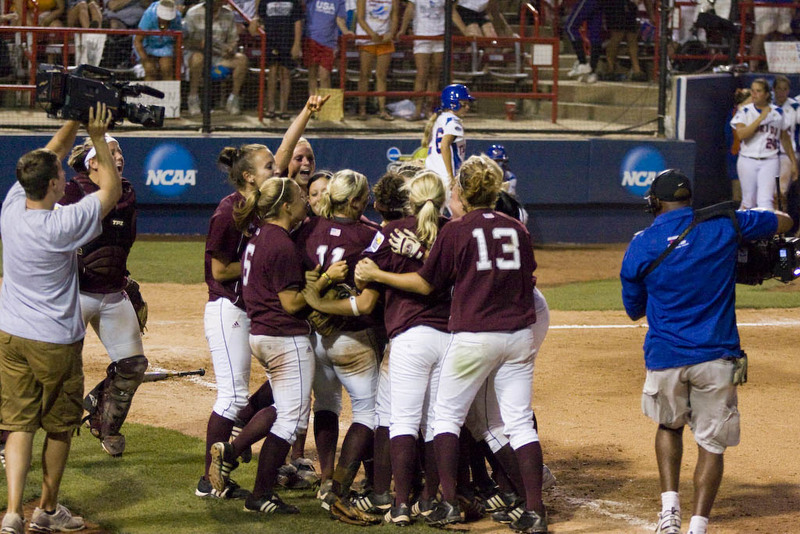 When you are a loyal teammate for 4 years, it becomes a habit in your every day life outside of softball. Because Coach Evans taught me the true meaning of loyalty, I bring that quality into my relationships with my friends and family. I hope that they call me a loyal friend – that might be one of the biggest compliments someone can give me. So much of being a good teammate and a good friend comes down to being loyal and trustworthy. If you have teammates who represent those things, then your team chemistry is going to help you get more W’s than otherwise, as Coach Evans taught us throughout the years. As I saw in Coach Evans, motivation stems from passion. Coach Evans has the ability to speak in a room and motivate everyone who is listening – from the trainers to the managers to the players. Even now, in the rare cases where I get a chance to hear her speak to the team in a pre game/post game talk, it’s moving. It makes me want to go play. It doesn’t just make me want to go play, it makes me want to be great. She can move you and change your mindset with the passion in her each of her words. Even when it can seem like there is nothing positive to build on after a bad game, she can find it. She can turn a room of emotions from defeat to compete within a few minutes of listening to her speak. She is an extraordinary speaker, because she speaks right from her heart. You can tell it comes from deep within a place built by experience and a place of confidence. It’s hard to NOT be motivated before a game when Jo Evans is your heard coach. It’s that motivation that gets her players ready to play before any given game. Coach Evans genuinely cares about her players on and off the build. She takes the time to get to know each player, and figure out a way to coach and communicate with them. Because of the way she forms relationships with her players, a sense of family is built within the program, firmly assembled on the foundation of respect. She can tell her players the hard thing. She is a coach who will always be honest with her players. It might not be always what you want to hear, but she can say the hard thing. She KNOWS her players. She even knows qualities about her players that the player might not have figured out about herself, yet. Sometimes, it takes a few years to understand and appreciate some of the things she brings to your attention in those meetings. It’s hard to hear the truth, and it can be hard to learn about yourself and understand how you are being perceived from the outside. This was “grown up stuff” we were learning to deal with throughout our tenure at A&M. However, in the end, no matter what, Coach Evans told us that she had our backs – each and every one of us – and she meant it. Because we knew she had our back, we had hers. Coach Evans exuded these noteworthy qualities on a daily basis. We wanted to play and fight for her and for our school. She exemplified what it looked like to model all of the qualities that she was teaching us through her own actions. Because we saw it every day, eventually it just became a part of us. You want it to become a part of you. In some of our most impressionable years, ages 18-22, we were around a woman who was constantly teaching us how to be a good teammate, but an even better person. 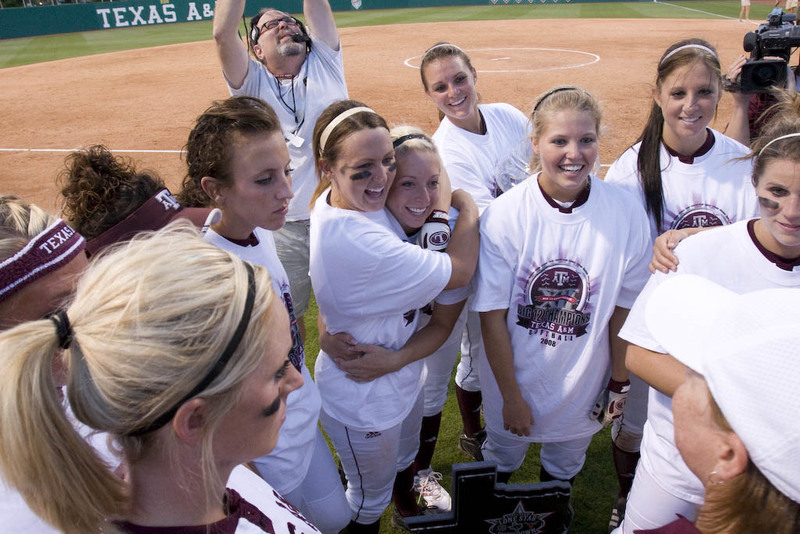 For me, playing for Jo Evans at Texas A&M is like the gift that keeps on giving. 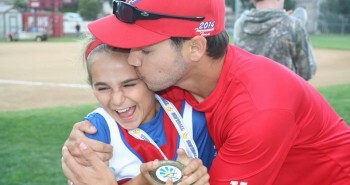 The life lessons I have learned from her through the game of softball are amazing. I learned a way to play and understand the game, but more importantly I learned ways to improve myself that I could carry on into the real world. When you dig deep to understand why she is a coach who now has 1000 wins, it’s not too hard to figure out how win after win has accumulated over the years. You can tell she has passion, she surrounds herself with a trustworthy coaching staff who exemplify the same qualities that she is trying to teach and she has the ability to reach the players who are in her program to a deeper level. It’s the coaches who have surrounded her and who currently surround her, who cannot be forgotten about as well. Without the help of an incredible support staff, not as many games and championships can be won, trying to steer a program in the right direction. 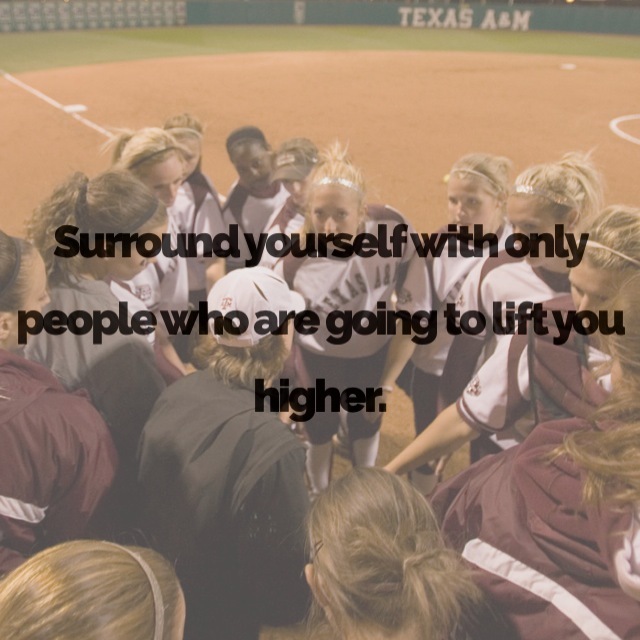 In the end, it really doesn’t matter how much softball you know and how much strategy of the game you know, if you can’t get your players to play for you, play for each other and play for themselves, then that knowledge is meaningless. 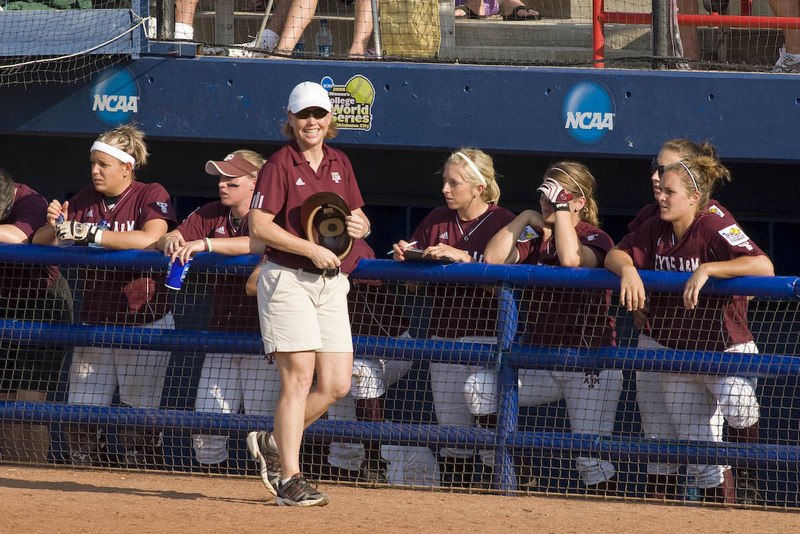 I look back to 12 years ago, and I am incredibly thankful she picked ME, Jo Evans picked ME, to play for her at Texas A&M. I cant imagine having played for anybody else, and I would not be the woman I am today without her. Great article, Amanda. Enjoyed watching your career at A&M. With the coming of the SEC Network, please if you have not done so, put in a bid with ESPN to be a softball analyst for the new network. It’s going to be big! Thank you!! Can’t wait, I agree, it’s going to be big!! Amanda, Thank you so much for sharing this wonderful tribute to Jo! As a high school coach of 23 years, these are all things I strive for with my players every day. I know and admire Jo and feel that any young lady that is “chosen” to play softball at A & M will be so lucky to have these opportunities to grow in so many ways!